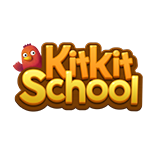 Team Kitkit™ School is a special project team of Enuma®, Inc., a company whose mission is to build technologically exceptional learning tools that help struggling learners become independent learners. Co-founded in 2012 in Berkeley, California by a world-class engineer and game designer parents whose inspiration was their son born with special needs, Enuma has now grown to be a team that has created children’s learning applications that are commercially successful, widely recognized, and loved by our users. Our team’s unique design approach, grounded in our mission to support struggling learners, including children with special needs, merges instructional methods that cater to the diversity among learners (such as UDL principles) with lessons from both the gaming industry and the education sector. The core members have been involved in building award-winning, successful special education apps on iOS from 2010. Our flagship product, Todo Math®, launched in 2014, has over 6 million downloads worldwide. Sooinn Lee is the co-founder and CEO of Enuma. She is the visionary and designer of many highly acclaimed children’s education applications such as Todo Math and Injini Child Development Game Suite. Prior to co-founding Enuma, Sooinn was a Corporate Strategist and game designer at Korean-based game publisher NCSOFT. In 2007, Sooinn was elected to the Ashoka Fellowship for her social entrepreneurship.